Pitties and Company began when a small group of animal advocates and rescuers decided that more could be done. More could be done to rescue animals of ALL breeds and ALL species. More could be done to educate pet owners of proper care for their animals. More could be done to prevent the birth of unwanted animals that will ultimately end up in shelters. It was through this passion to help, that Pitties and Co. was born. Pitties and Co. is a registered nonprofit in the state of California and is pending federal 501(c)(3) nonprofit status. Pitties and Co.'s mission is simple: help prevent animals from being surrendered to shelters by educating owners and offering free spay/neuter services for qualifying families. For the animals that need our help now, we are there for them, too. Pitties and Co. will never turn down an animal that needs our help as long as funds and fosters are available. Spay/neuter vouchers: PAC is creating a spay/neuter voucher program that will provide low-income Pit Bull and Chihuahua owners with free spay or neuter for their beloved pets. 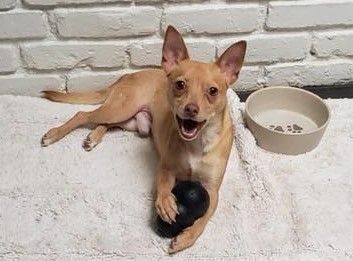 This ensures that unwanted Pit Bulls and Chihuahuas (the two most euthanized breeds in Southern California) are not born in the first place - only to later die in a high kill shelter. Educational outreach: True to its commitment to prevent innocent animals from unnecessarily dying in a shelter, PAC has instituted an educational outreach program. Although we are starting small (schools, day cares, etc. ), we hope that through dedicated volunteers and hard work, we will have monthly educational events available to the community. Rescue: Try as we may to prevent animals from ending up in shelters, there will always be animals in need of our help. It is for this reason, that we pledge to always help any animal in need that we are able to. If we have funds and a foster, we will never hesitate to save the life of an animal in need. All breeds. All species. All love. To adopt an animal, the potential adopter must first complete an adoption application. Applications can be downloaded at: https://www.pittiesandcompany.com/forms/ If the adoption application is approved, a home check is then conducted by a Pitties and Company volunteer. If the home check goes well, the adopter is then able to adop!. All animals are spayed/neutered, vaccinated, and microchipped prior to adoption. A signed adoption application is also required. Adoption fees are $150 for cats/kittens, $250 for adult dogs, and $300 for puppies.